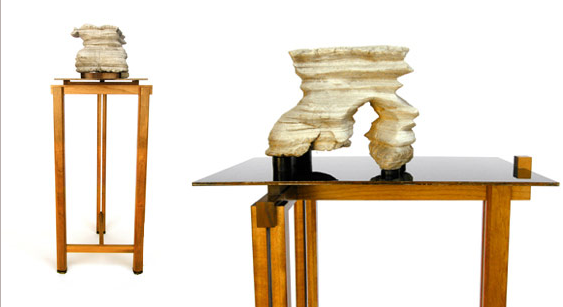 This table is called a “tall rock stand” and the photos of the design and manufacturing process are fascinating. Go check out Remade Studios to see more cool designs. The company builds sustainable furniture. All natural and the elements of wood and earth. The feng shui feels good even if a bit impractical. Think of it as a sculptural piece of art.